Sometimes we spend a whole year planning and saving for a holiday because it is something to look forward to in a World full of control and work. A chance to get away from it all. You have then trawled the internet for deals and decided “oh that looks nice” and it’s a bargain, look we saved money by going to Malta or Madeira even though these islands are volcanic rocks jutting out the ocean one with catholic military architecture and one with flowers but you wanted no shoes on a white sand island with turtles laying eggs and multi colored fish swimming into your goggles. So really what is in your heart ? Mauritius or the Maldives perhaps, ? so what we waiting for .Then you clearly need a Scratch Map. Imagine during the war you are in control of the map, pushing the model boats and tanks across the map where you want them to travel to protect our land. Doing a great job for others but what if you were pushing yourself around the map. Where would you go ? 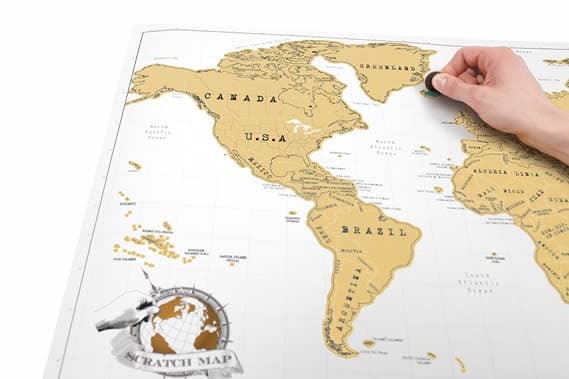 The World Scratch Map poster is for YOU and is made from quality laminated paper in a choice of background colors depending on the map you choose. 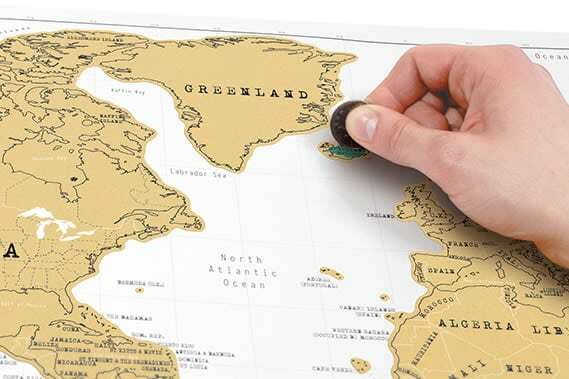 All high quality finish like the shiny white or the matte black with gold or copper foil covering the countries and islands that you will want to discover for yourself. Then piece by piece as you travel around the world and scratch off the foil turning plain country’s into colorful facts and records. Choose World Map, Europe Map, America Map and many more from U.K. original design and manufacturer, Luckies of London. So you are in charge of your destination. Free to plan and explore as the Scratch Map is here to help you create and see your journey. No more rooting through boxes or memory sticks to reveal your travel record. 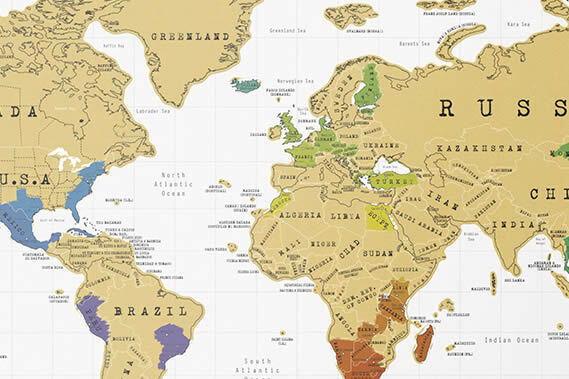 With the Scratch Map, it is plastered all over your wall. Waiting and watching your next move. It’s All Going To Be Magnificent, around the world, and back home on the wall.